The Price of Everything directed by Nathaniel Kahn is an American documentary. 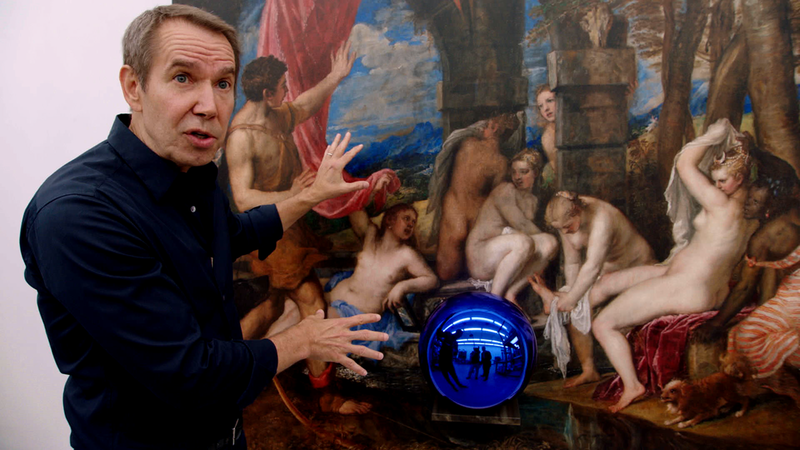 This film takes an in depth look at how the price and value of contemporary art is determined. Interviewees include Amy Cappellazzo, the chairman of the fine art division of Sotheby’s, artist George Condo, and artist Njideka Akunyili Crosby. This film discusses the balance of selling fine art to a private collector and selling it to public spaces, such as museums. There is a very interesting discussion that becomes apparent on the basis of class. When fine art is priced at tens of millions of dollars, is it even right at that point for it to be contained in a private collection? A private collection assumes that the art will be placed in someone’s home where it can only be appreciated by a handful of people. When art is in a museum, it can in theory be enjoyed by a much wider group of people that does not necessarily discriminate on the basis of class or money. In turn, the question becomes, what is the purpose of art? And, is the amount of money an individual is willing to pay an appropriate determination for how much that individual values the work? Someone may value a work greatly although they may not be able to support the financial burden that owning that work would pose. The Price of Everything reminds me of another documentary entitled, Kusama: Infinity directed by Heather Lenz. Kusama: Infinity examines the artist Yayoi Kusama, her life, her work, and the international recognition she has garnered. The two films are done in much the same way, a talking head style examining the complexities of the issues at play. The Price of Everything also takes great care to look at the viewpoint of the artists when they are trying to sell their work. I feel that it is in this way that both films are very similar. The reflective and introspective moments from the artists are interesting to hear about. These viewpoints were, in turn, contrasted with industry professionals. Although they have an intense passion and appreciation for fine art, their ultimate goal is the sale. The Price of Everything presents an interesting examination of how money both bestows freedom and deprives people of freedom simultaneously. I recommend this film to anyone who is interested in fine art and the industry that supports it. Nathaniel Kahn’s examination was both well balanced and elegant in its portrayal. This examination presented a variety of perspectives on the issues at work and demonstrated clear insight for the viewers who may not be very well versed in contemporary fine art. This examination, in turn, looks at societal values and the pressures of capitalism. The film delivers insight and interest to those looking for a discussion based documentary. The Price of Everything is 98 minutes long and it is rated PG. The Price of Everything screens in Calgary as part of the 2018/19 Doc Soup series on Wednesday, November 07, 2018 @ 7:00 PM at Cineplex Eau Claire.